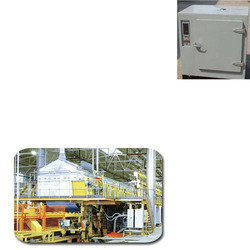 Manufacturer & Exporter of Control Panel for Rubber Industry. Our product range also comprises of Electric Arc Furnace, Rogowski Coils & Integrators and Fume Extraction Systems. For reasons of quality standardization, the offered range of Control Panel for Rubber Industry is known to be made abiding by the norms and guidelines standardized by the industry. Because of this, the offered product is known to have an impeccable performance and commendable functional life. Further, it is priced reasonably, for maximum client satisfaction.